London: Lawrence & Bullen, 1896. 5. Created by Anniina Jokinen on August 11, 1999. 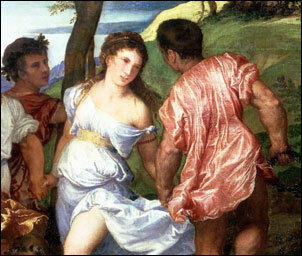 Titian. Bacchanal of the Andrians, detail. 1523.